GILGIT: Well known Political activist Baba Jan who is serving a lifetime sentence in Gakuch Jail has complaining about a pain in his chest. Gahkuch based reporters have said that Baba Jan has been referred for Angiography, which is not available in Gilgit-Blatistan. Party sources have accused the Jail administration for endangering Baba Jan’s life by not transferring him to Islamabad, where Angiography facilities are available. 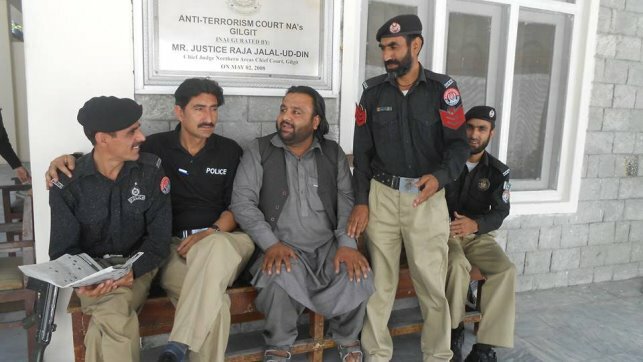 Baba Jan has been imprisoned since Sep 25th, 2014 along with other progressive workers, for their alleged involvement in rioting after Hunza police shot dead two protesters in Aliabad on August 11, 2011. Baba Jan and Awami Workers Party believe that the charges are politically motivated. They maintain that the imprisonment is part of an effort to suppress dissent voices in Gilgit-Baltistan. Meanwhile, Awami Action Committee Baltistan has announced a protest demonstration in front of the Islamabad Press Club to demand proper medical treatment for Baba Jan’s reported ailment.